The skin is the largest organ in the body – that’s right it is an organ like the liver heart or kidneys. 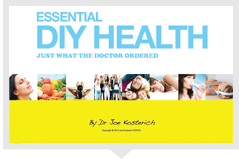 It has a variety of vital functions ranging from helping with temperature regulation to eliminating toxins and, of course keeping our body together. Imagine the body without a skin covering! It is also the part of our bodies that we show to the world. Yet often we take it for granted. Many people spend large sums of money on trying to make the skin look better. There is actually no need to spend mega dollars when there are simple things you can do to make your skin look great and inexpensive creams that do the same as the expensive ones. 1) Drink water to hydrate the skin. You need 30ml/kilogram body weight per day of water. You do not need soft drinks. 2) Get a good supply of Omega 3 fatty acids. These are found in oily fish like salmon, sardines, trout or tuna and also in flaxseed and walnuts. You can also consider an omega 3 supplement. 3) Cut down on sugary foods. These make the body acidic and are bad for your skin. 4) Eat more vegetables, which are rich in vitamin A like pumpkin, turnips, broccoli peas and leafy greens. 5) Eat foods, which are rich in vitamin C like oranges, strawberries, peppers, kale and guava. Vitamin C is an antioxidant and it supports the skins collagen. 6) Drink green tea. This has a number of useful antioxidants. 7) Have plenty of fiber in your diet. Have an apple or some nuts as a snack instead of a biscuit. 8) Have a healthy intestine by taking a pro-biotic. A healthy intestine will mean better absorption of nutrients and the elimination of toxins. Many things can disturb your guts bacteria so a pro-biotic can help. 9) Do regular exercise. This literally will make your skin glow. It stimulates the circulation and hence helps remove toxins. 10) Do an exfoliation. This can be as simple as using a brush on your skin when you have a shower to remove dead cells. It also helps the lymph circulation. Most of these are ways of looking after your skin from the inside. The other component is using good quality products on your skin to help with renewal and moisturizing. When selecting products what you DON’T apply to the skin is as important as what you DO apply. Preferably use skin care products that don’t contain parabens, mineral oils and other nasties. Read the labels, just as you would with the foods you eat to make sure your skin care products are free from these ingredients. Looking after your skin and keeping it looking great is easy and need not be expensive. Care for your skin from the inside and the outside.